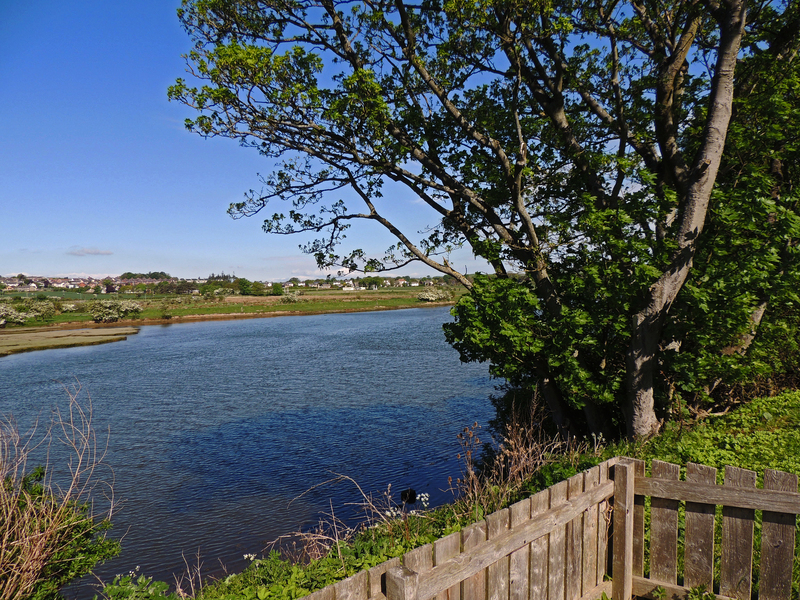 The landward side of the peninsula on which Alnmouth is situated is bordered by the curving course of the river Aln. There are many wonderful works in the River valley as it meanders its way Northward from its mouth. Back in Judah the site of the city and the land which surrounded it was given into the governance of the Philistine city states, most probably Ekron. This is particularly odd if we date the destruction of the city as 701 BCE, since until months before the fall of the city, these same Philistine city states had been allied with Judah against Assyria. It may be that Ekron had not joined the Alliance and was thus been rewarded for loyalty. 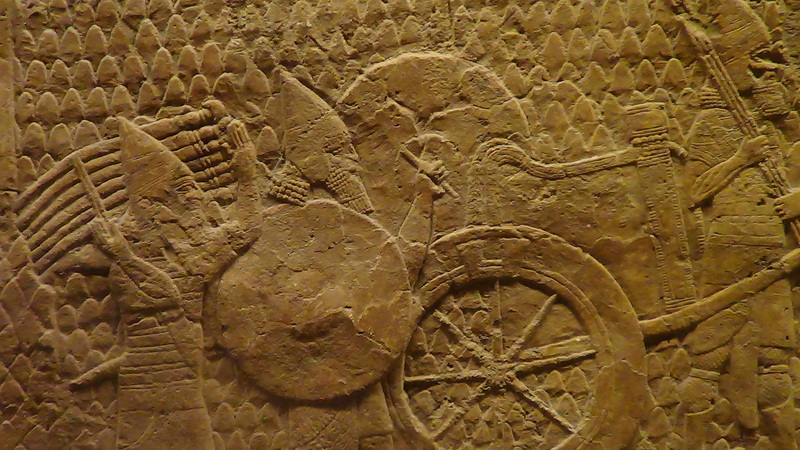 An alternative explanation would be that if the destruction of Lachish actually happened in 688, it may have been a reward to the city states for not joining in with the renewed rebellion. It would appear that after the campaign of 688, there was a stable relationship between the government in Jerusalem and their Assyrian overlords. 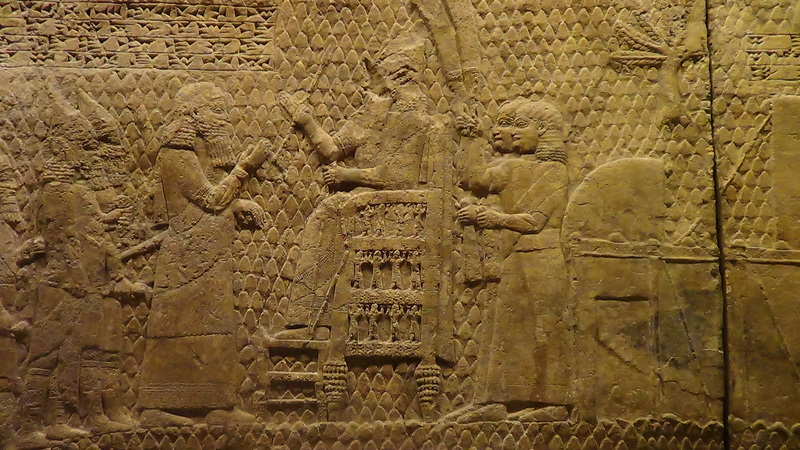 Indeed, it is well documented in the Assyrian archives that King Manasseh, son of and successor to Hezekiah seems to have been a strong supporter of Assyrian rule. There are records of him sending tribute to Nineveh and later of providing support and troops for Ashurbanipal’s campaigns in Egypt. As for Lachish, it seems that the site remained in ruins with little or no evidence of occupation. 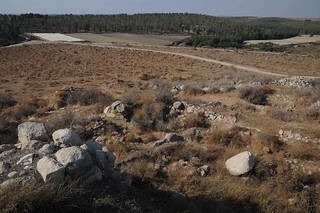 It is possible that the land surrounding the city were run as an Imperial resources estate administered from a purpose-built centre, such as the one found at Ramat Rehal in the eastern Shephelah. These centres collected the produce and ship them directly back to the Empire’s homeland. 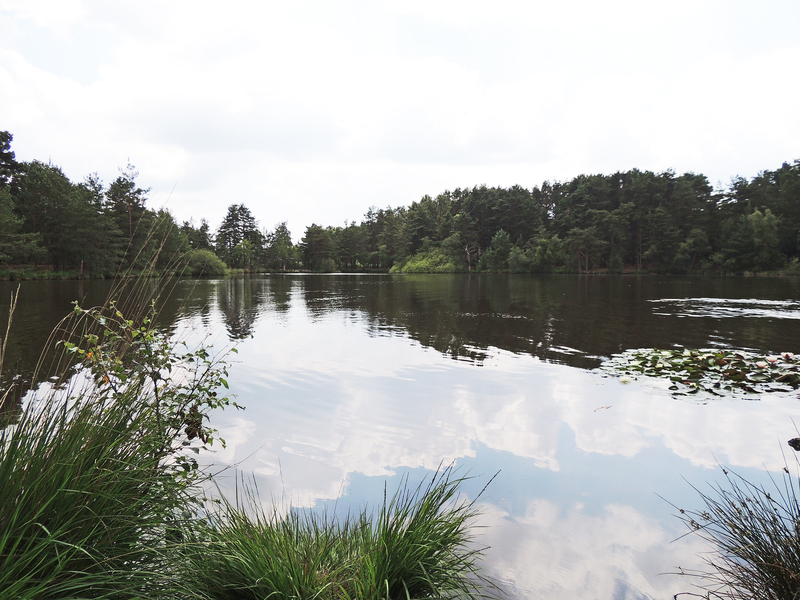 Final stop on Catch up Thursday is my home patch, the Tarn. 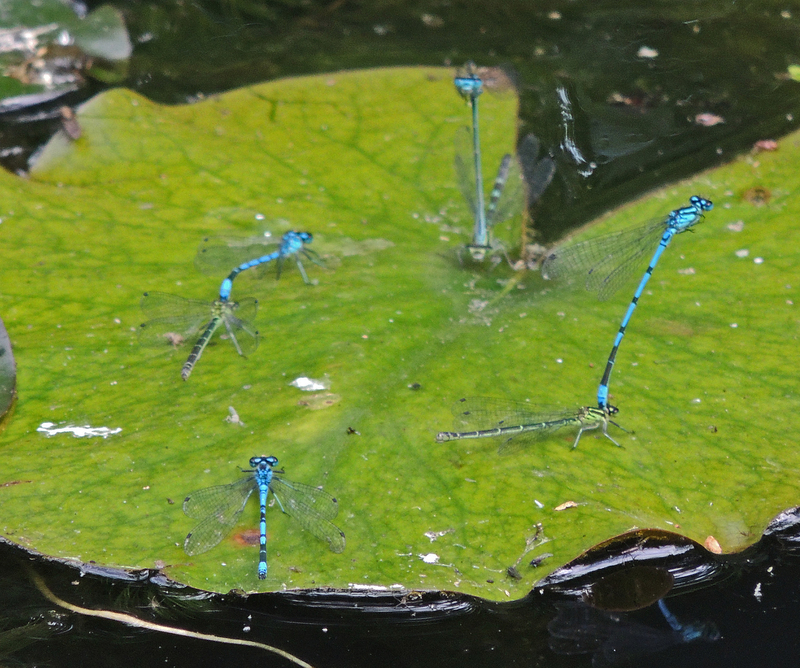 There is not as much activity at the pond as earlier in the week, but Azure Damselfly and Large Red Damselfly are still present. 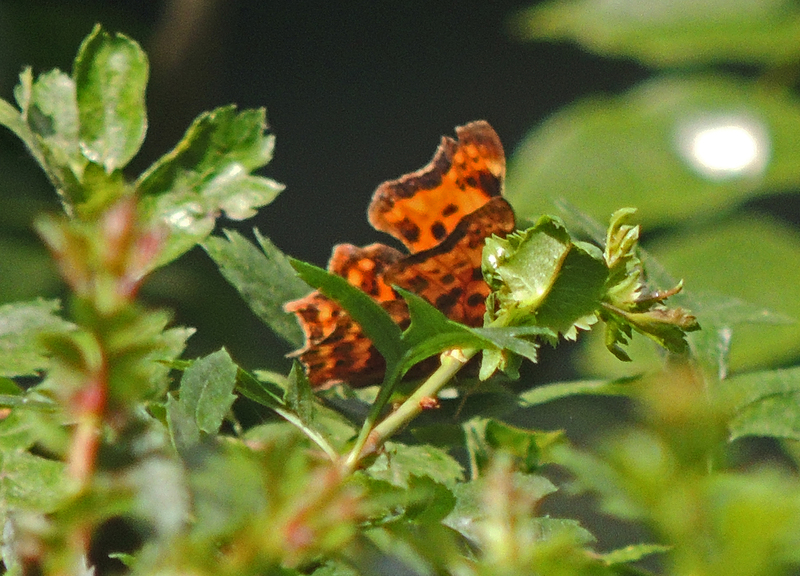 By the side of the Tarn I find 3 Comma butterflies in the vegetation and as I am standing photographing them a Red Admiral flies past. 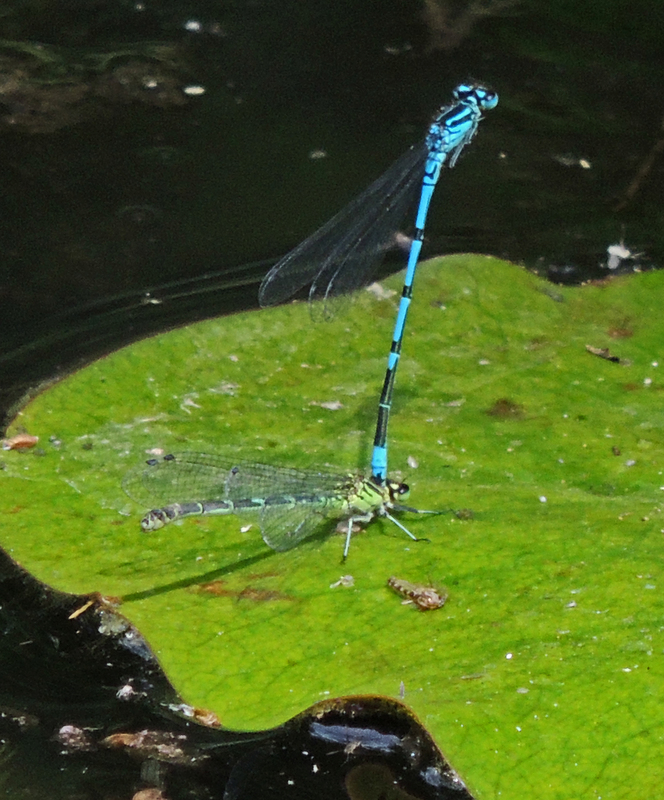 There are a few damselflies on the Tarn and I identify a male Common Blue and a male Blue-tailed damselfly. A large party of Canada geese appear from the golf course. In all there are 4 adults and 15 young ones in the party. 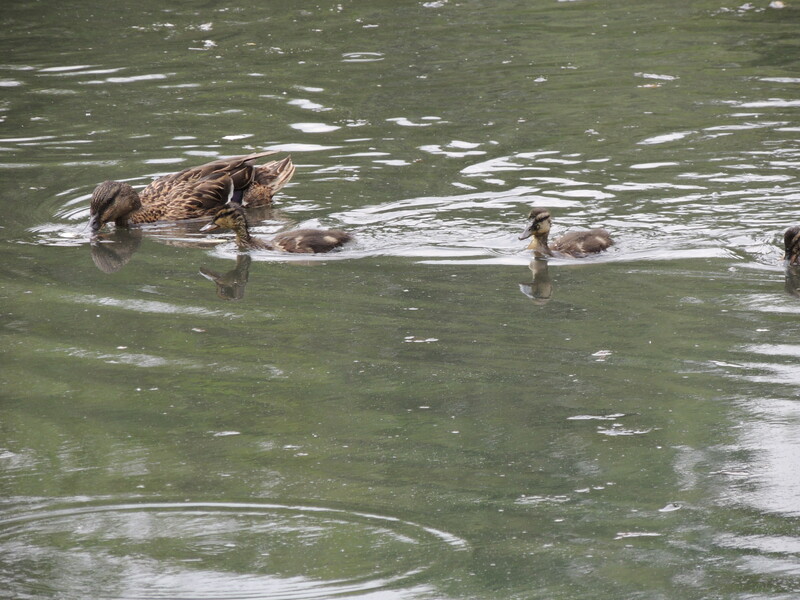 It is interesting to see the different stages of development in the young – some are beginning to look like Canada Geese but other shows no signs of the distinctive markings. At the end of 3 surveys in one day I feel rather like our resident Terrapin and am looking forward to sitting down and having a rest. 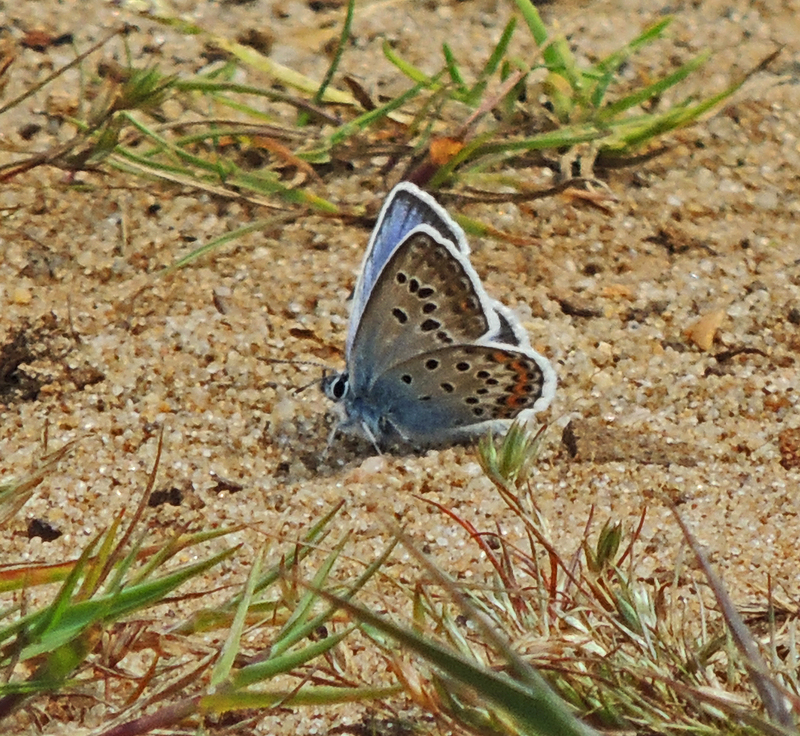 But its been a great day with some fabulous sightings. Its such hard work being a Terrapin! 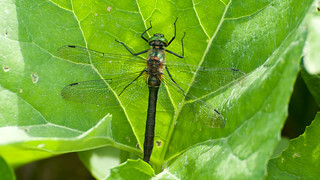 Decide that today I am going to catch up with all my local dragonfly and butterfly survey work for June. 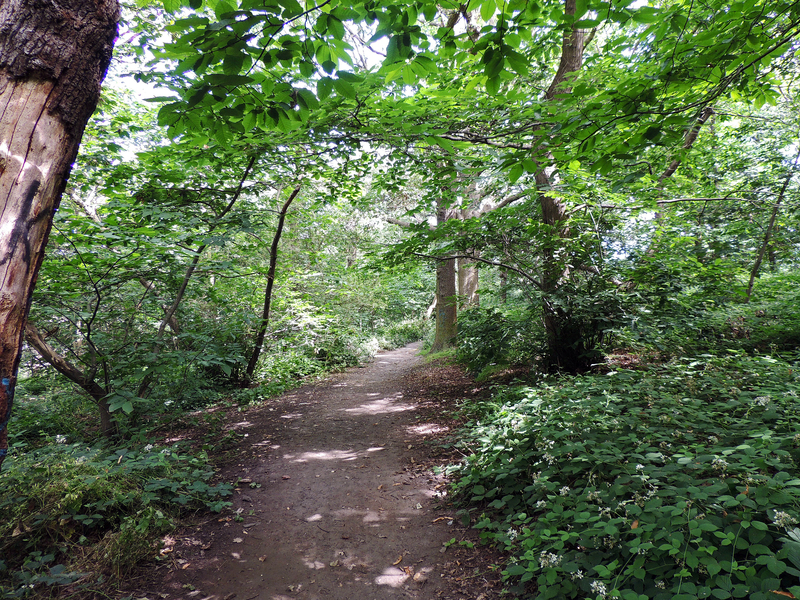 My first stop is Eltham Park, Shepherdleas Woods and Oxleas meadows which is a new site I have been asked to monitor this summer. These 3 different habitats are connected and run from south to north. 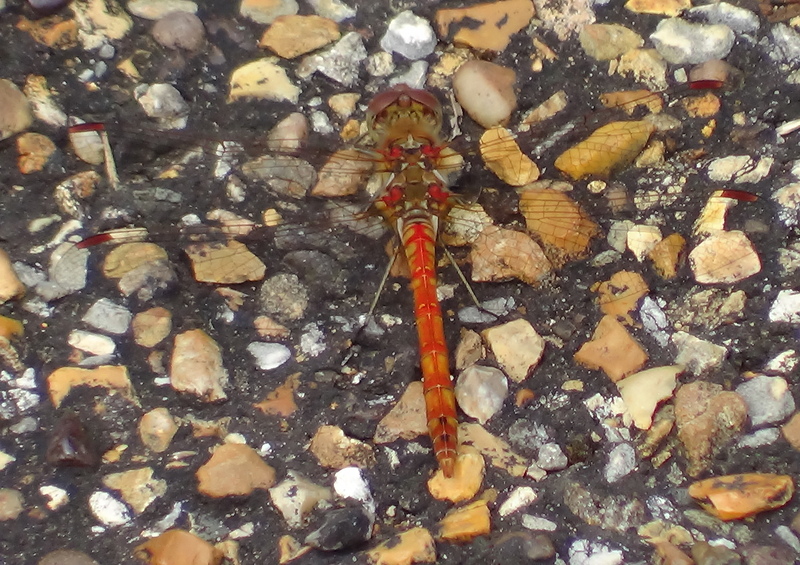 Eltham Park also has a pond in it so there is the possibility of some dragonflies on the site. 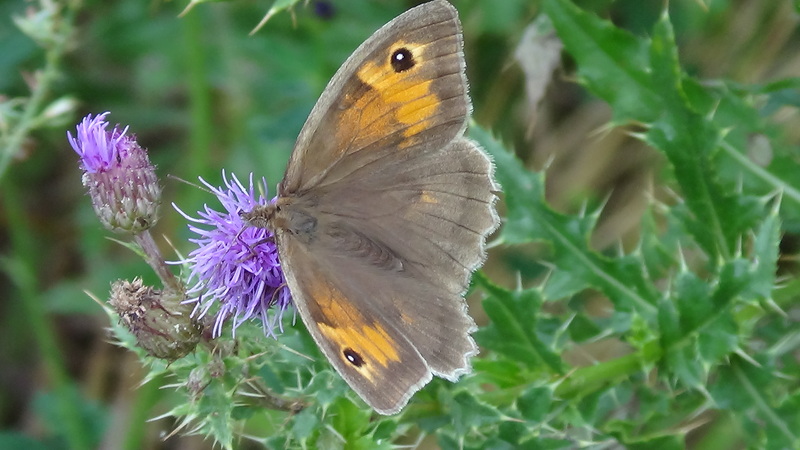 The Park has plenty of butterflies almost all of them Meadow Browns, but this bodes well for other species later in the summer. 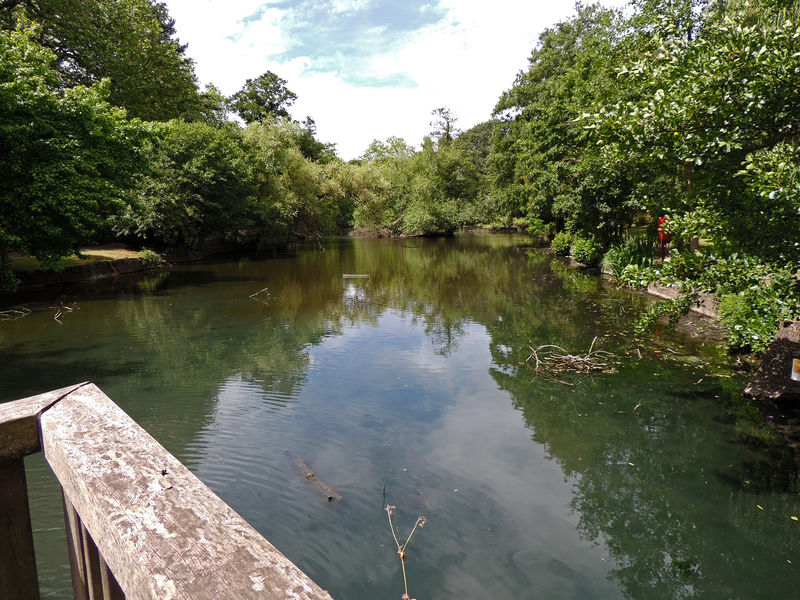 The Pond unfortunately shows no sign of dragonflies, perhaps because there is quite heavy tree cover which restricts the sunny warm places at its edge. 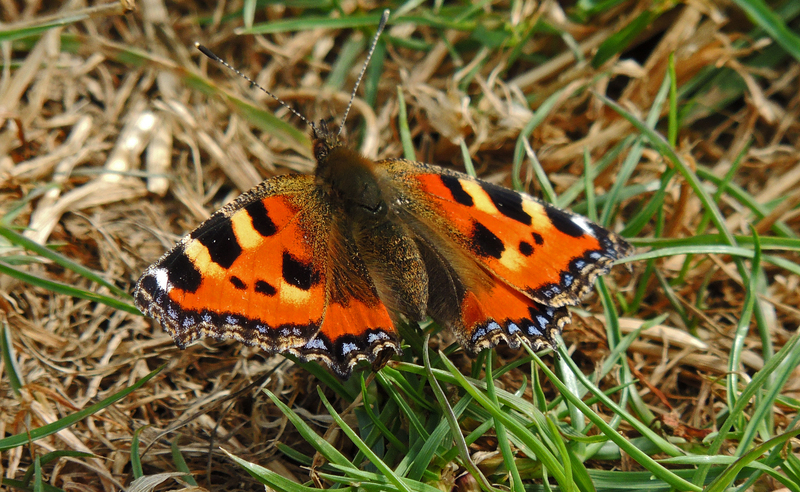 No butterflies seen in the wood but Oxleas meadows turns up a treat with 5 Small Tortoiseshells and 2 Red Admirals all very keen to have their photos taken. In the end I had to stop myself taking photos as they just sat there. 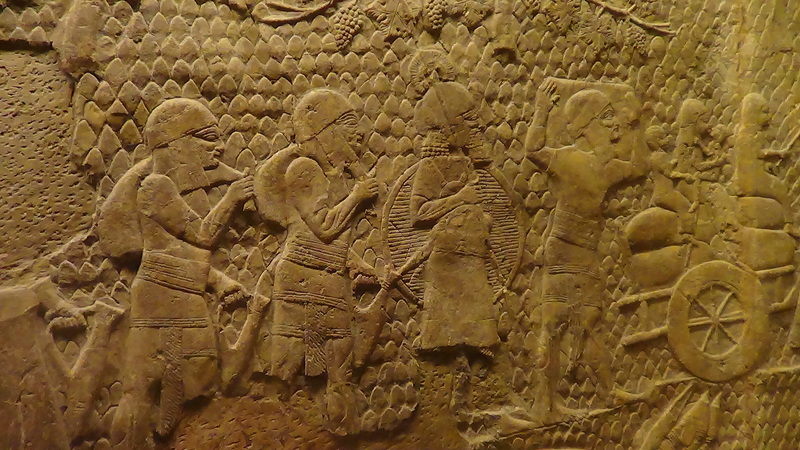 What now for the people of Lachish? In Samaria which the Assyrians had captured in 720, it is reckoned that the vast majority of the population were deported to the Assyrian homelands and replaced by immigrants from other parts of the empire. These deportees of course are what has become known as the 10 lost tribes of Israel and about whom there are many legends as to where they ended up ranging from Africa to America. It is in fact far more likely that they ended up in Assyria. So from the Assyrian records we can see that a large number of people were deported from Judah following Sennacherib’s campaigns and this would no doubt have included the surviving population from the city of Lachish. 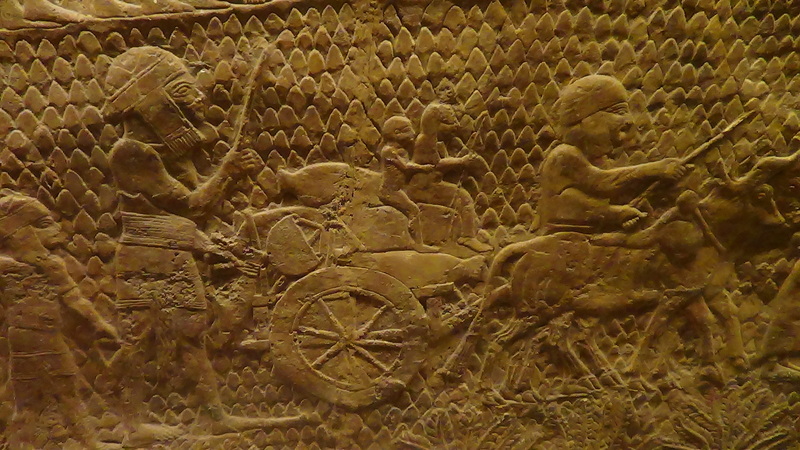 Recent excavations in the Kurdish region of Iraq have actually shed some light on this subject. The area excavated and surveyed by Maorandi Bonacassi was at the heartland of the Assyrian Empire close to the centres of power such as Nineveh. Bonacassi’s work has suggested that the area contained at least 130 settlements, 2 river ports, only 70 miles of canals, numerous aqueducts and the irrigation of hundreds of square miles of agricultural land. The conclusion drawn from these findings is that this was a large Imperial agricultural enterprise delivering food and water to Nineveh and other major centres. 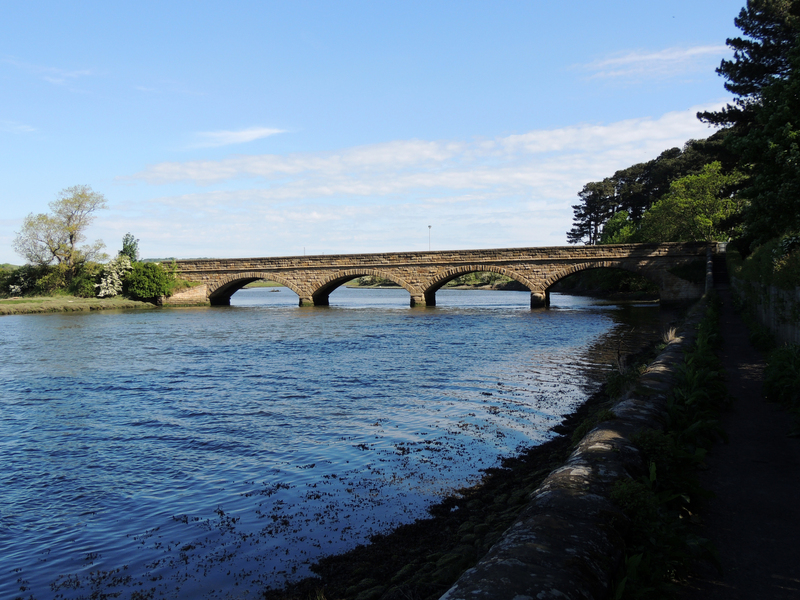 To put into some perspective the scale of the work here – it has been estimated that the canals would have required 200,000 m³ of stone to build and the aqueducts a further 600,000 m³ of stone. 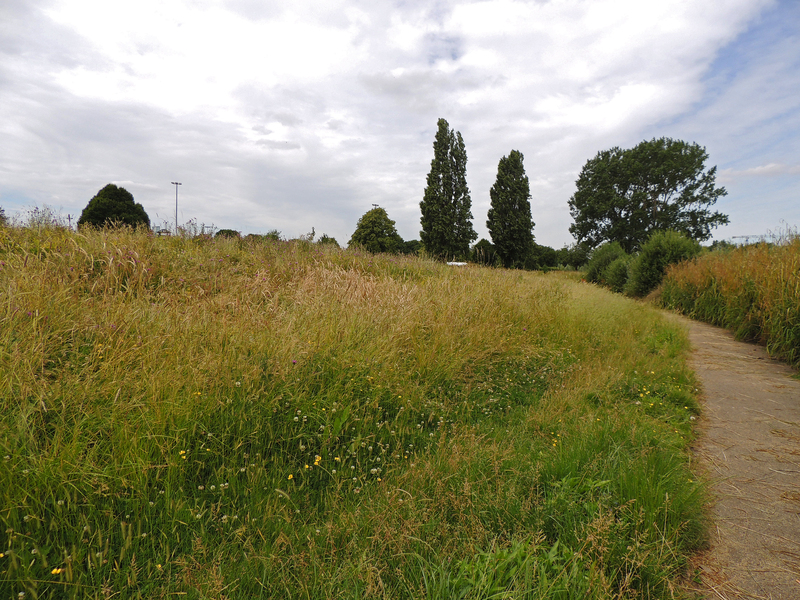 This is in addition to the labour required for agricultural purposes. The logical conclusion from all of this is that this whole Imperial estate required a large source of forced labour for construction, maintenance and agriculture. I think is highly likely that this or other estates like it were the final destination of the deportees from the city of Lachish. 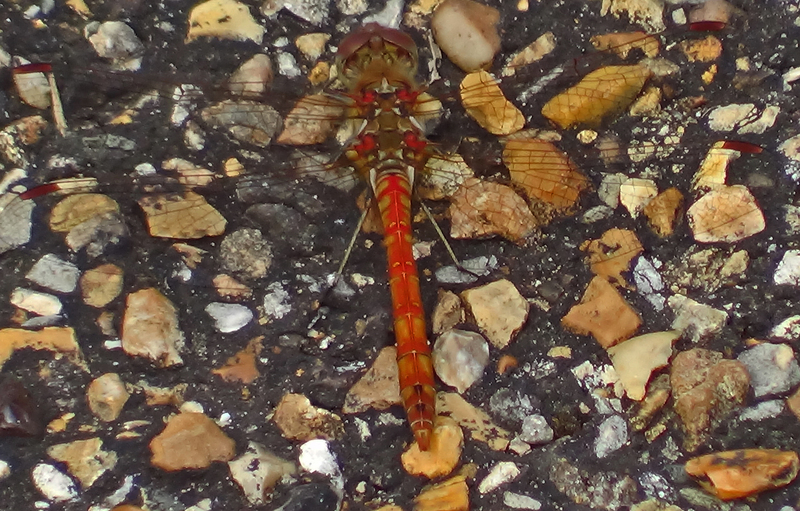 The Common Darters are just beginning to emerge. 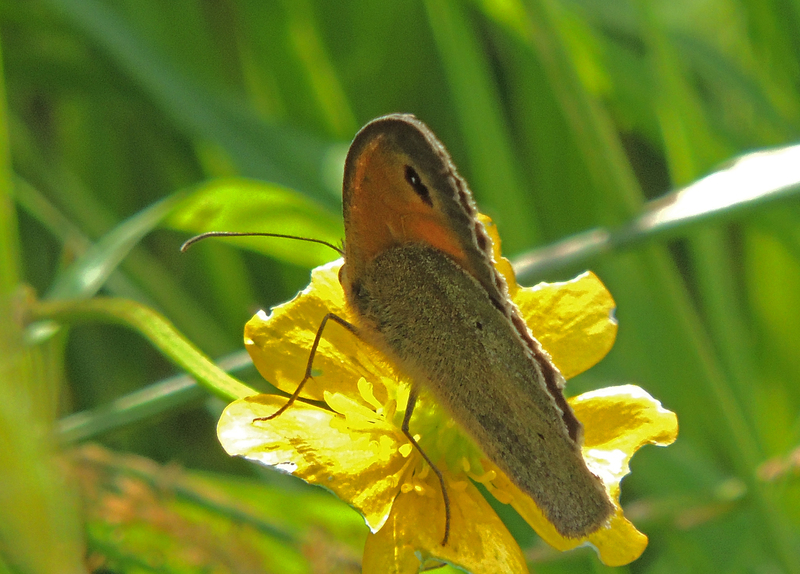 They will continue to be on the wing throughout the summer and into the autumn. 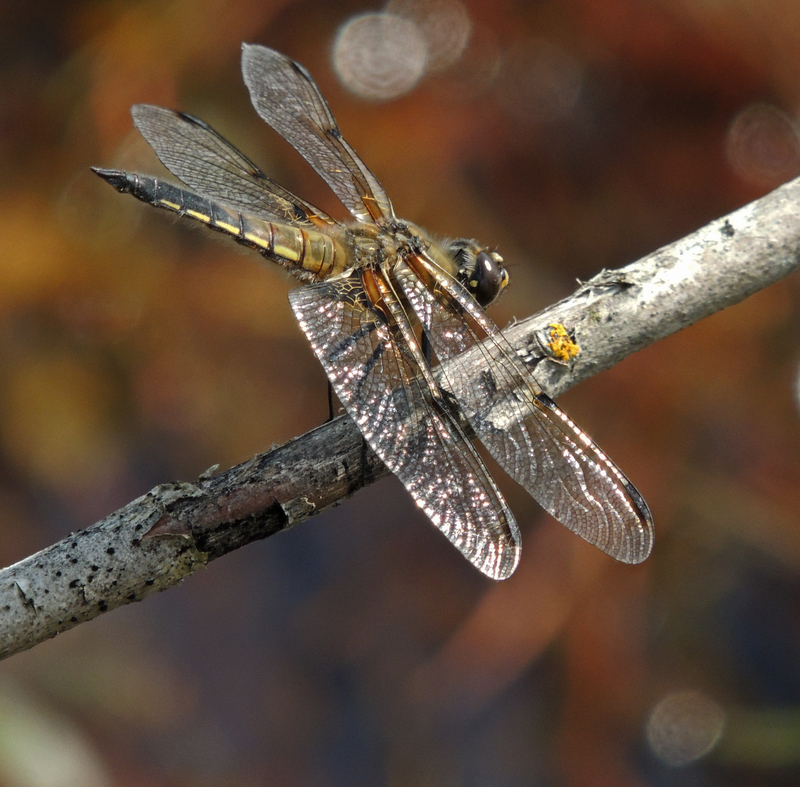 They may even be seen into November and are often the last dragonfly of the year still flying. 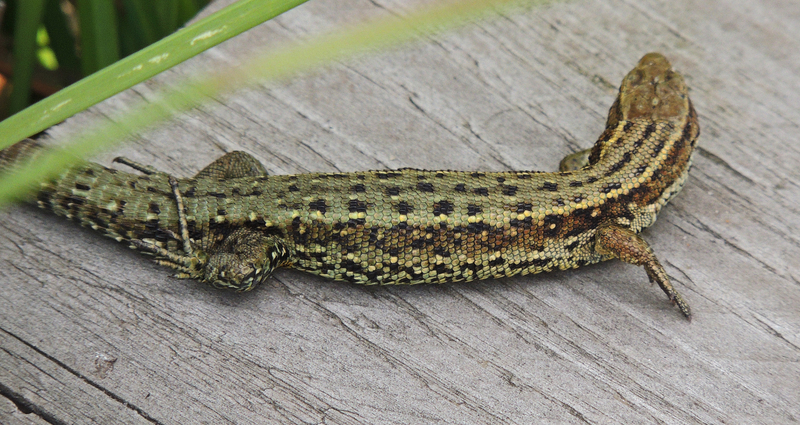 They can be found around still water bodies ranging from lakes to garden ponds, but may also be found away from water. 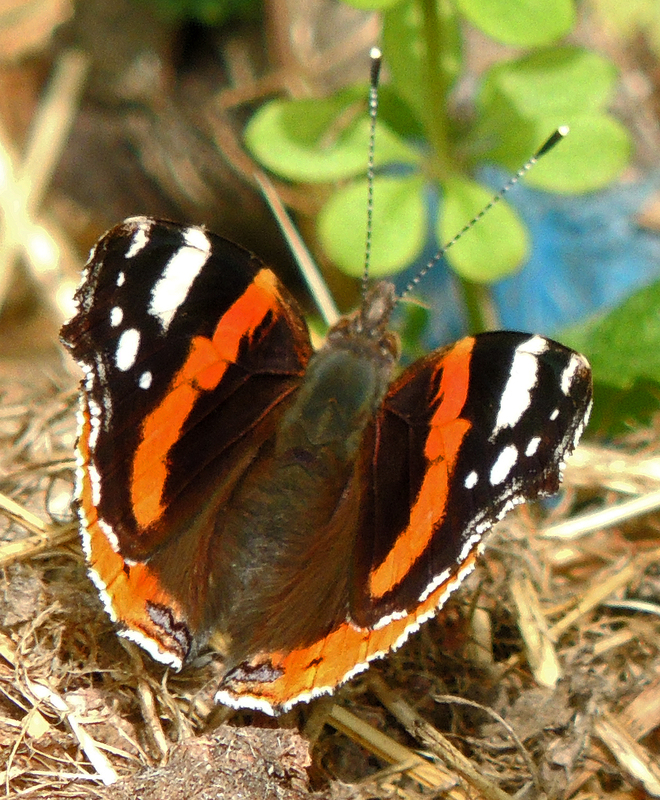 They are common across the UK although less abundant in Scotland. 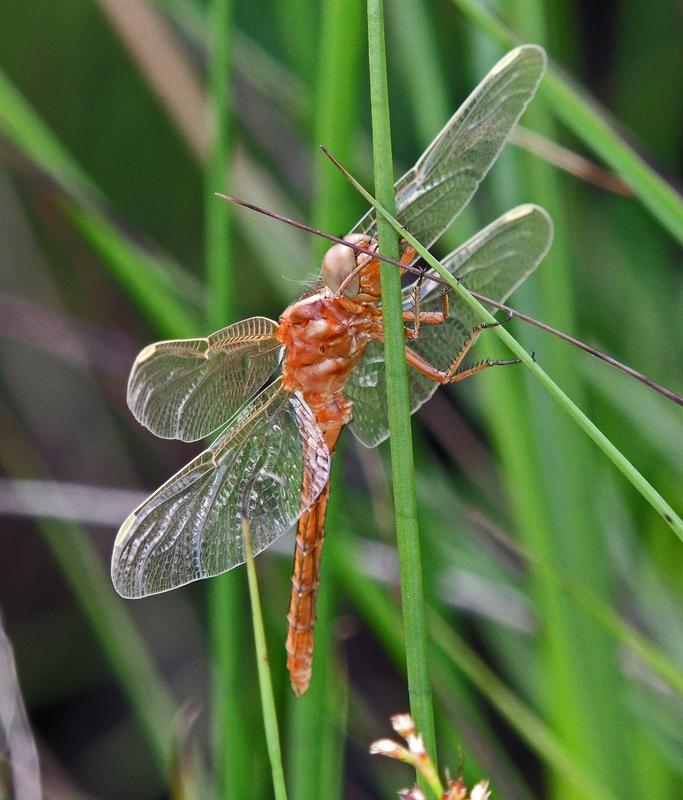 They are sometimes confused with the similar Ruddy Darter, but Common males never achieve the dark red colour of the later species. 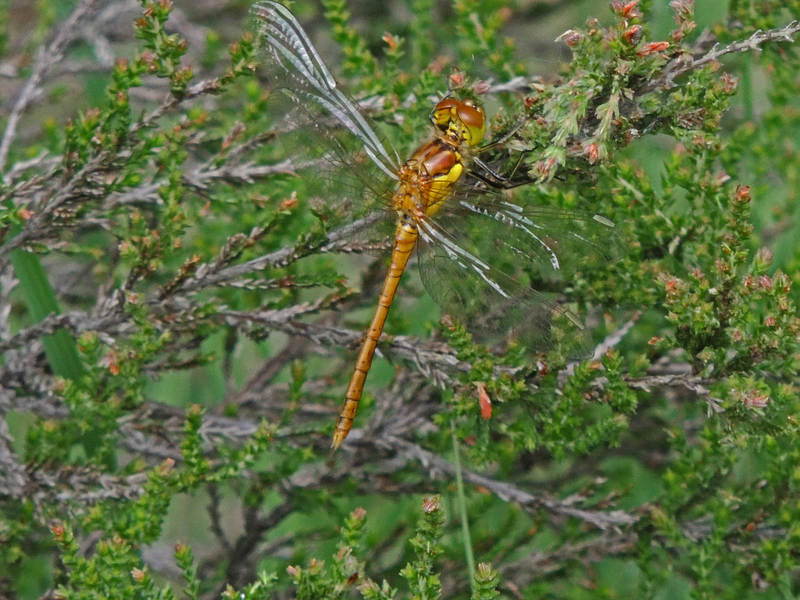 Differentiation of the females is more problematic but unlike the Ruddy, the Common Darter does not have a waisted body. 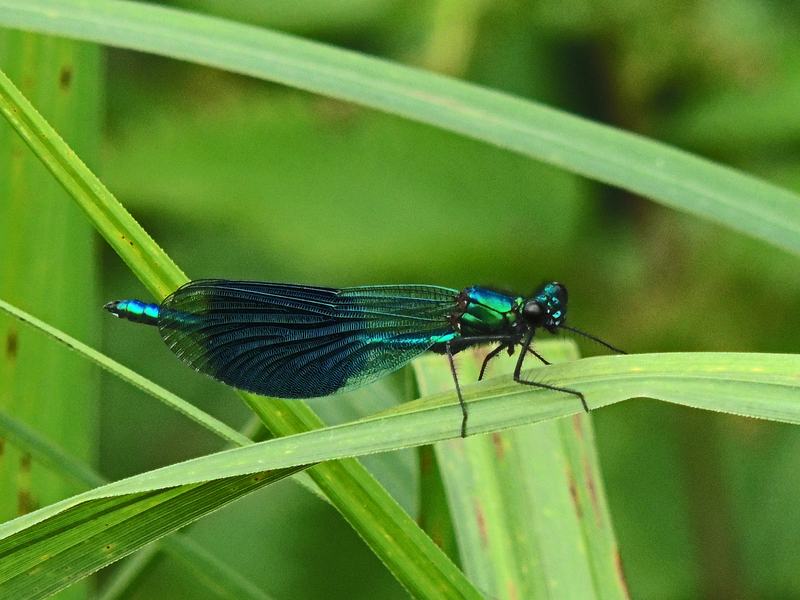 A warm sunny afternoon and a good excuse to quit work for a while and go and walk around the Tarn in search of Dragonflies and Butterflies. 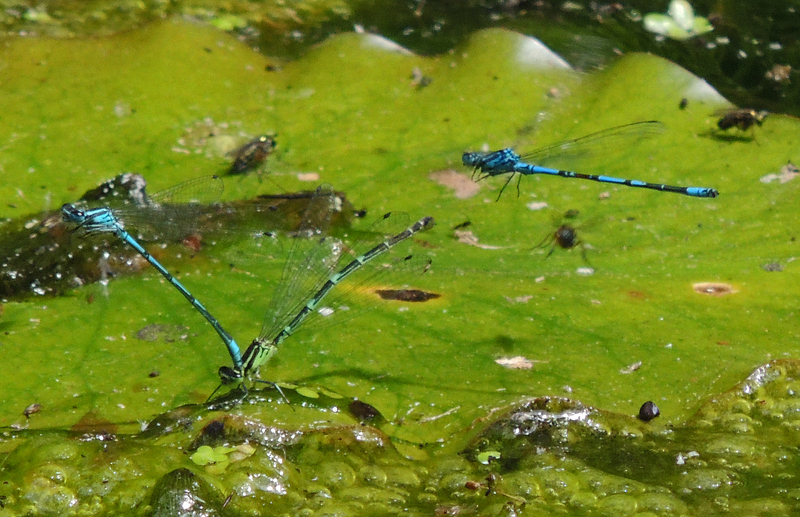 My first stop is the pond and its clear that the Azure damselflies are very active. 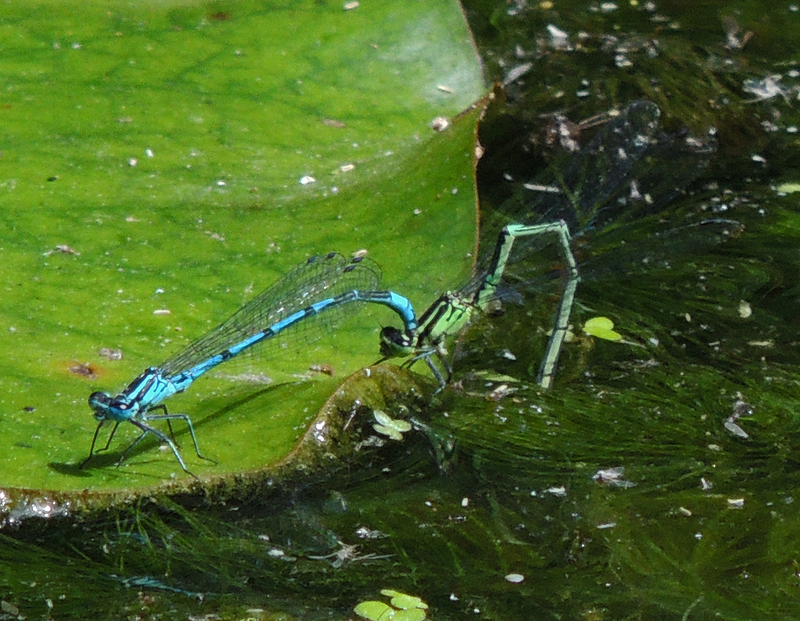 There are also some Large Red Damselflies and a single Blue-Tailed female (I had a single male last time – so maybe they will meet up). 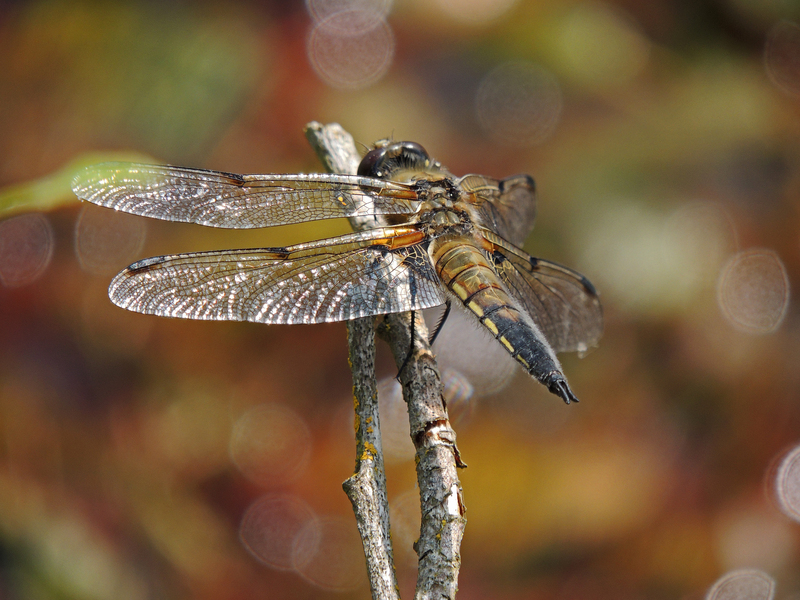 Onto the Tarn where there were 2 Broad-Bodied Chasers patrolling. 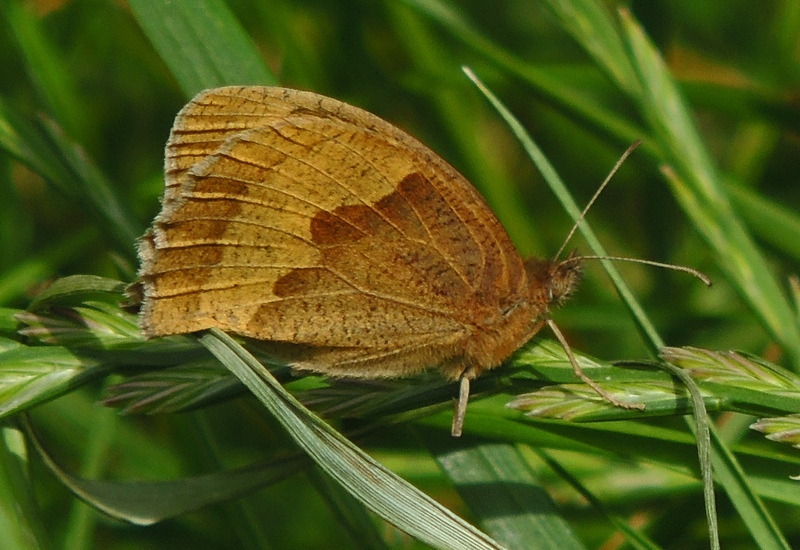 In the vegetation I found a Green-Veined White butterfly (first of the year for the site). 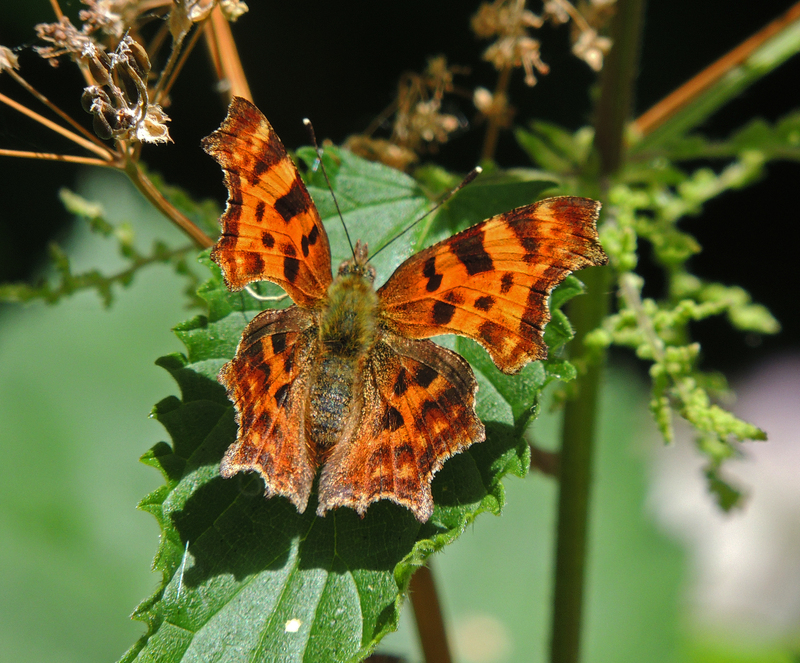 In the flower Garden at the eastern end I spotted a Comma butterfly (another year first for the site). 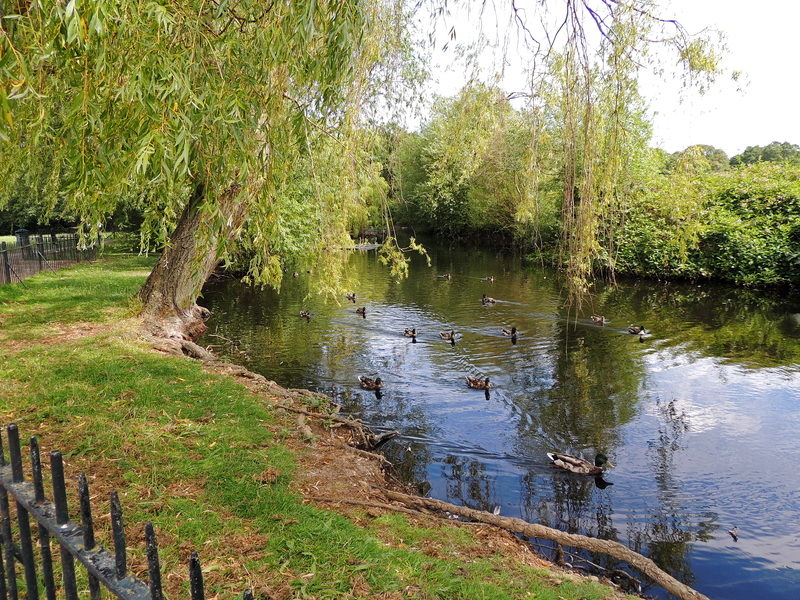 The young Greylag Geese are growing fast and the oldest group now resemble their parents. 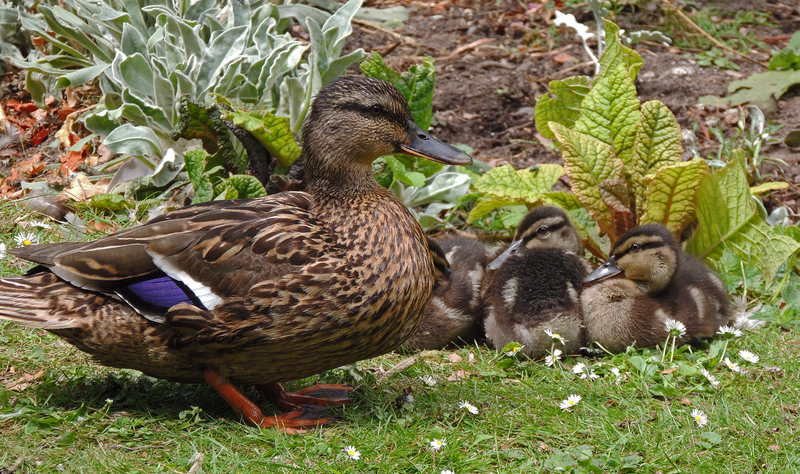 There was also a group of mallard chicks on the Tarn plus some young Coot. 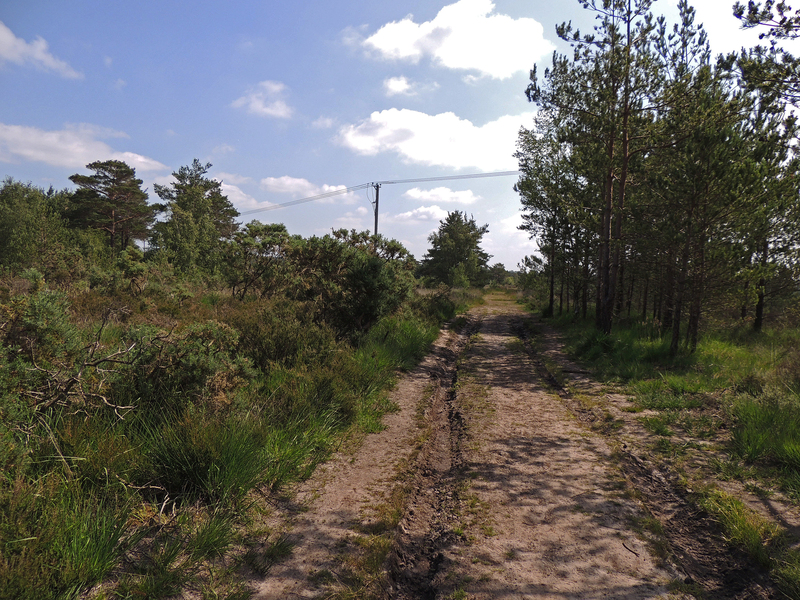 A trip to Thursley NNR in Surrey today with the RSPB group. 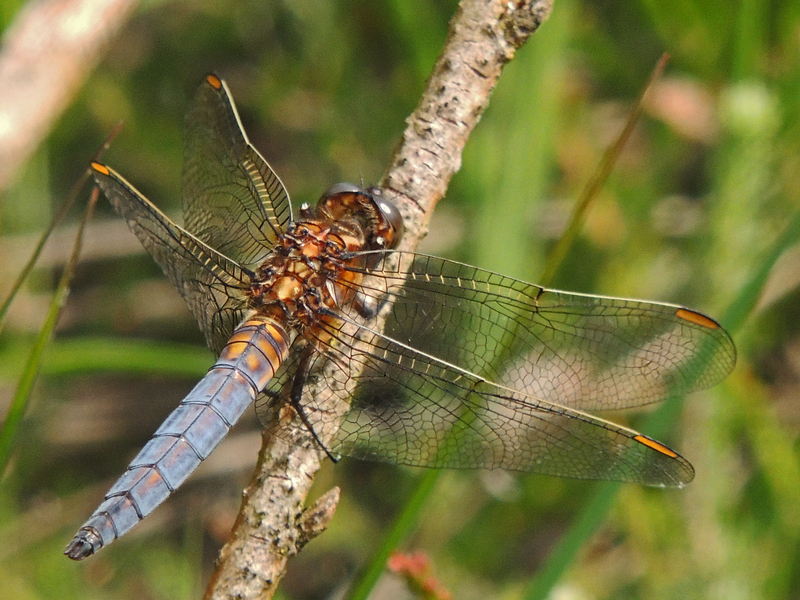 Thursley has some very good birds including Hobby, Woodlark and Dartford Warbler but it is also the countries best dragonfly site with a list of 26 species (although at least one of these no longer occurs there). 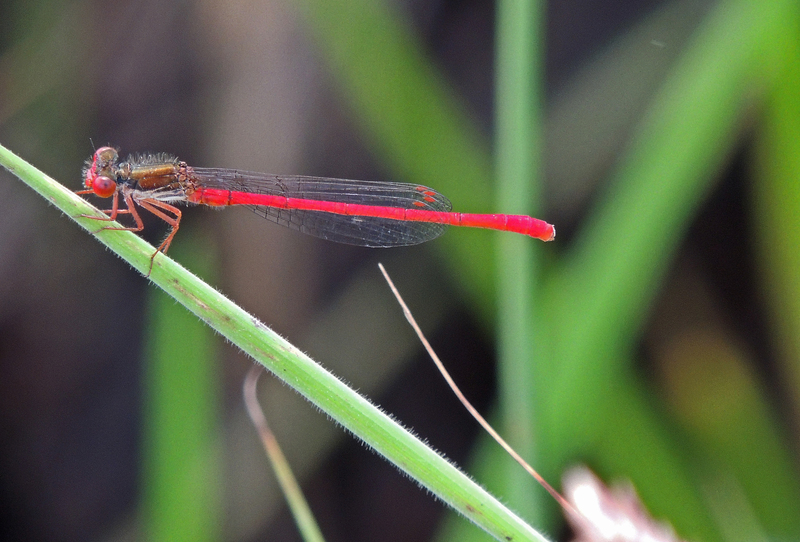 There are Azure and Red-eyed Damselflies and two Downy Emeralds, one of the specialties of the site. 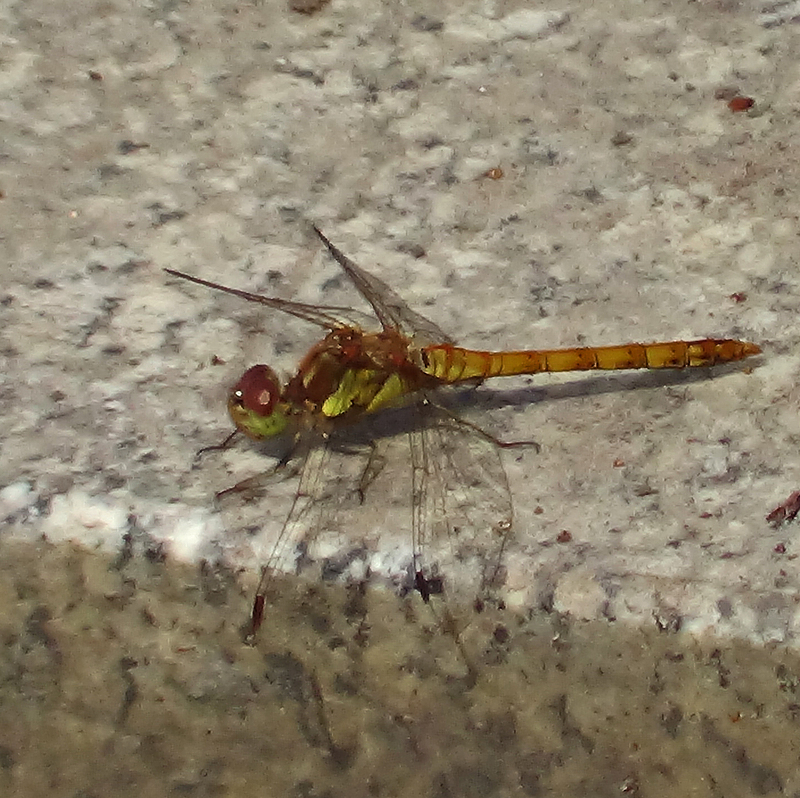 These small hawkers are always in motion and rarely seem to stop or land, making it difficult, or in this case impossible, to get any photos. Knew I should have bought the video camera! 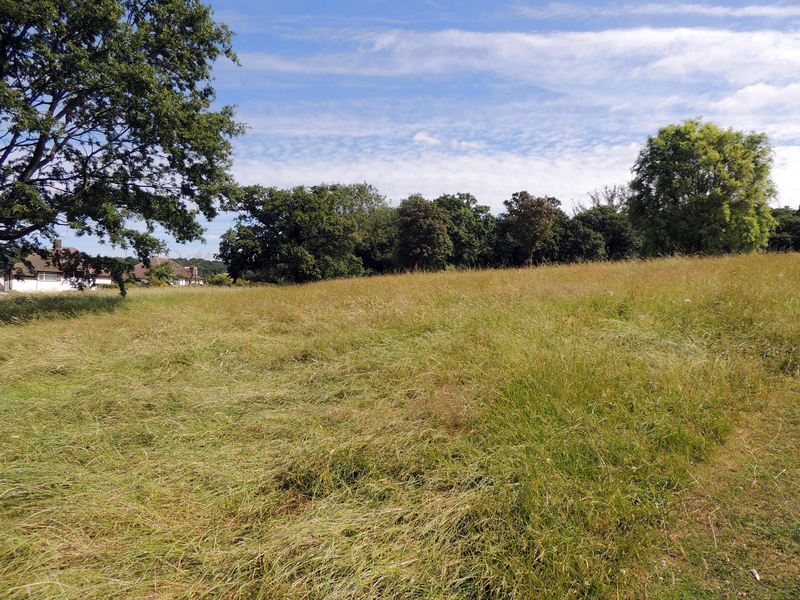 Then its out onto the heath. 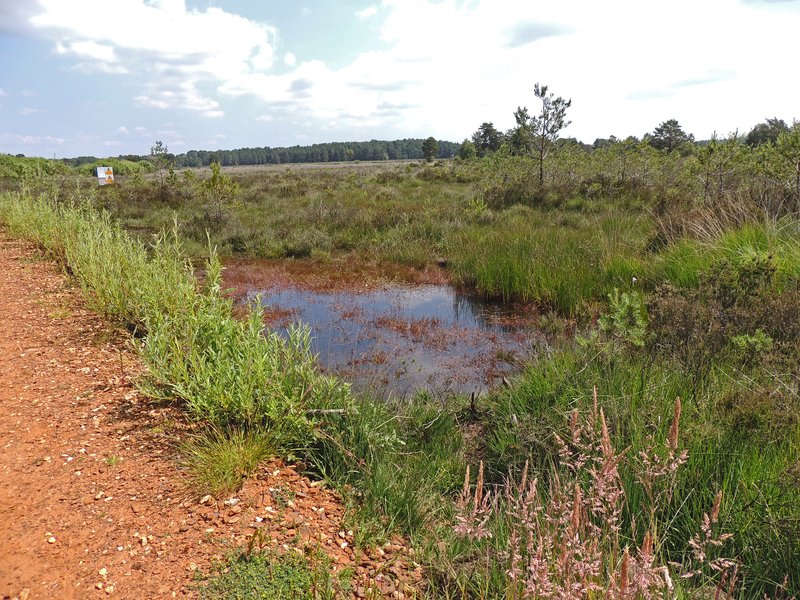 Thursley is one of the largest area of lowland heath in England and so is a unique site for this still disppearing habitat with its specialist species. 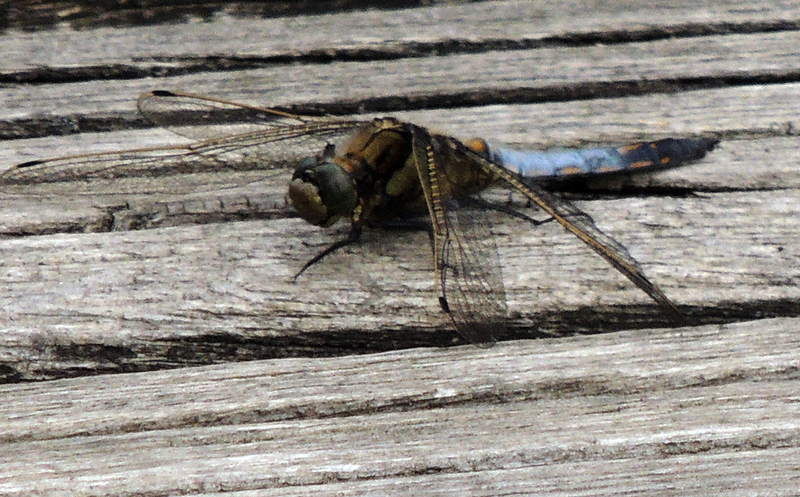 There are plenty of dragonflies to see. 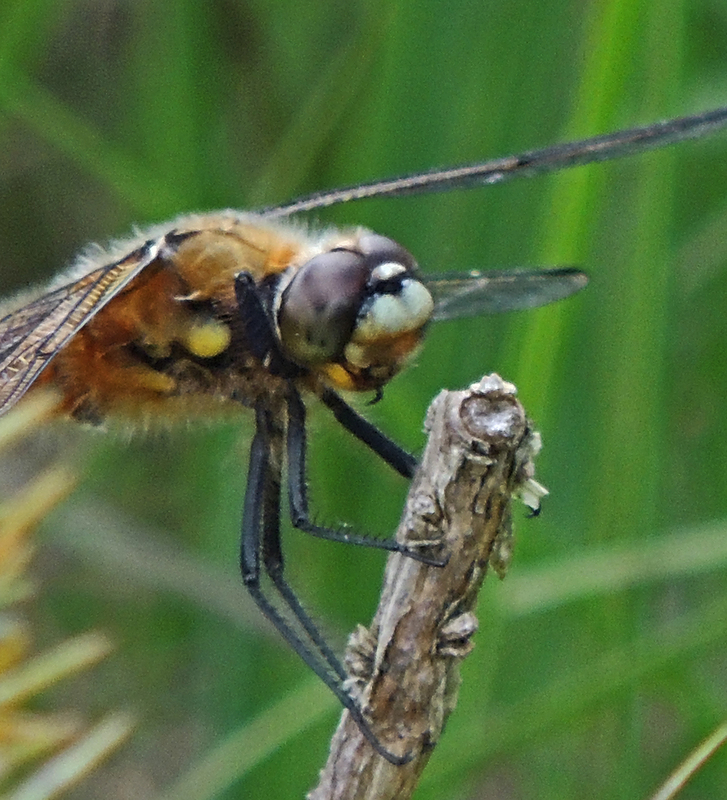 The small pools are patrolled by 4-Spotted Chasers and Keeled Skimmers along with a few Black-tailed Skimmers and a couple of Emperor Dragonflies. 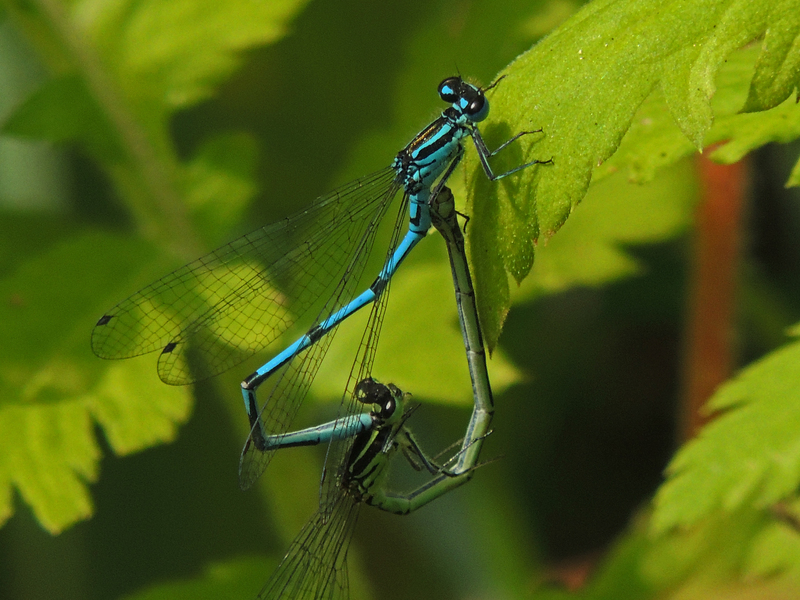 Common Blue and Large Red Damselflies are also present together with Beautiful and Banded Demoiselle . 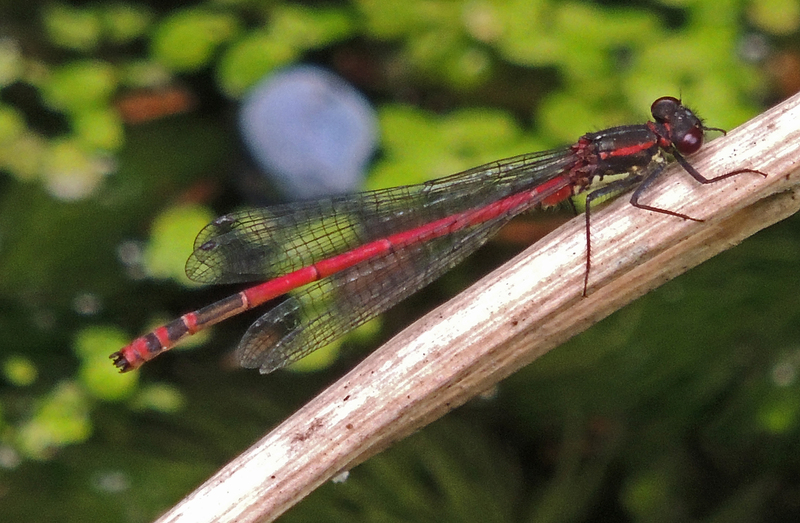 I also managed to find a Small Red Damselfly, which was pleasing especially as I got to photograph it. 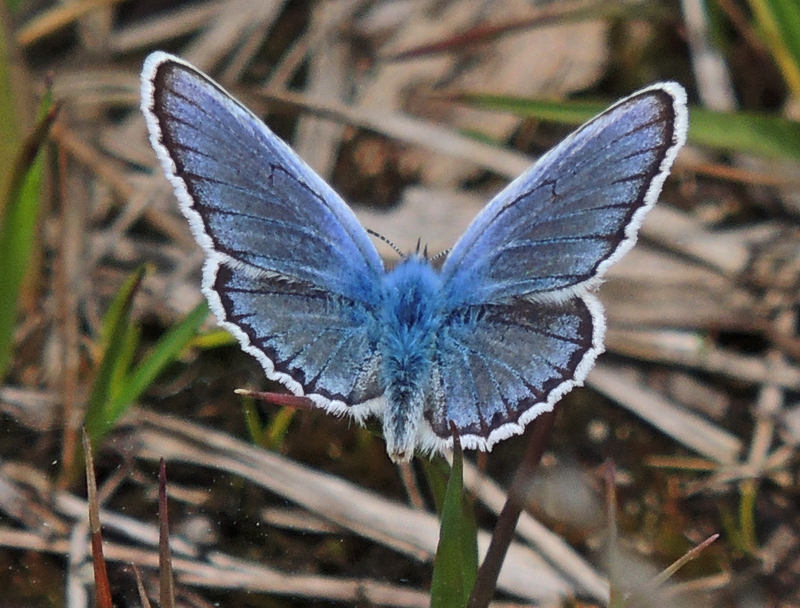 An added bonus was Silver Studded Blue Butterfly, another specialty species of lowland heath. 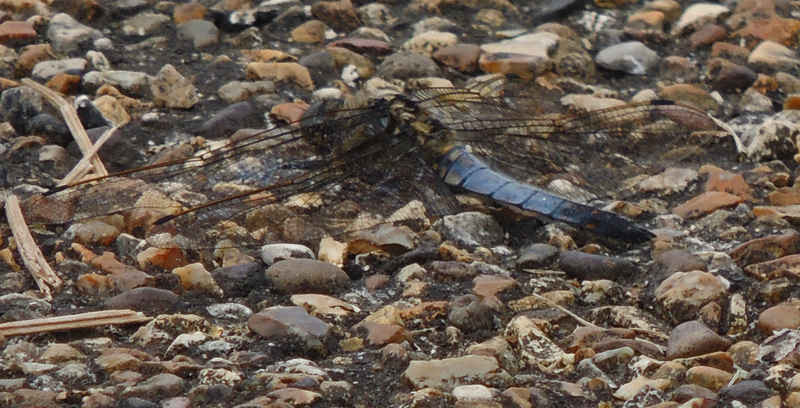 Not a large bird list, but 13 species of dragonfly and some good pictures plus Silver Studded Blue. A really good day. 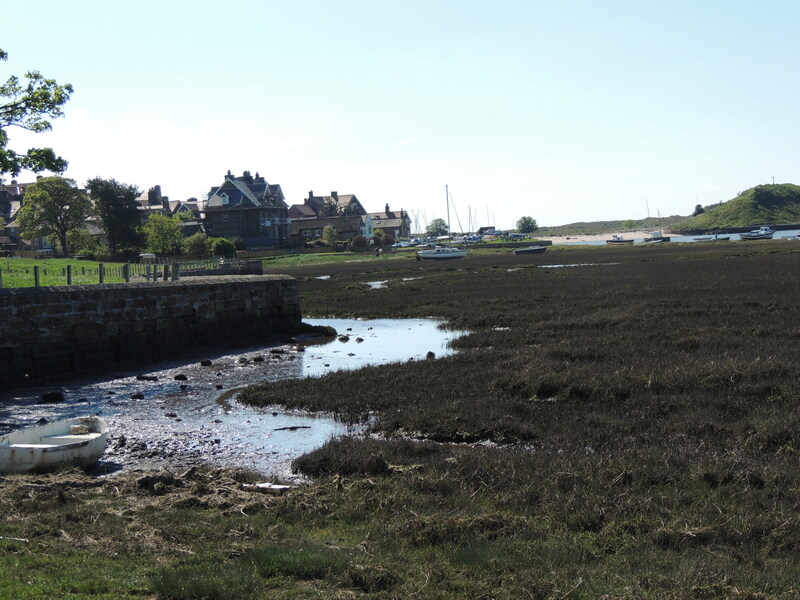 Alnmouth is a pretty village on the Northumberland coast in the north-east of England. 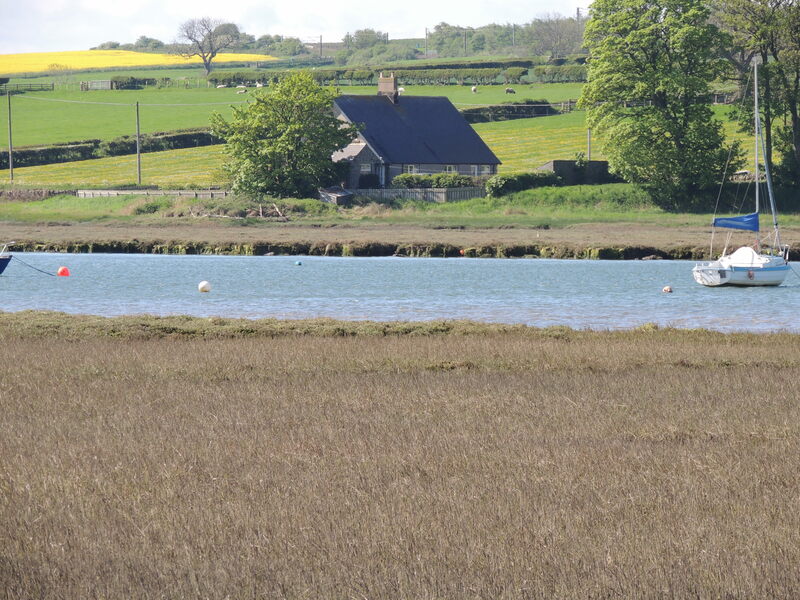 It is reckoned that there has been habitations on this site for a least 4000 years. 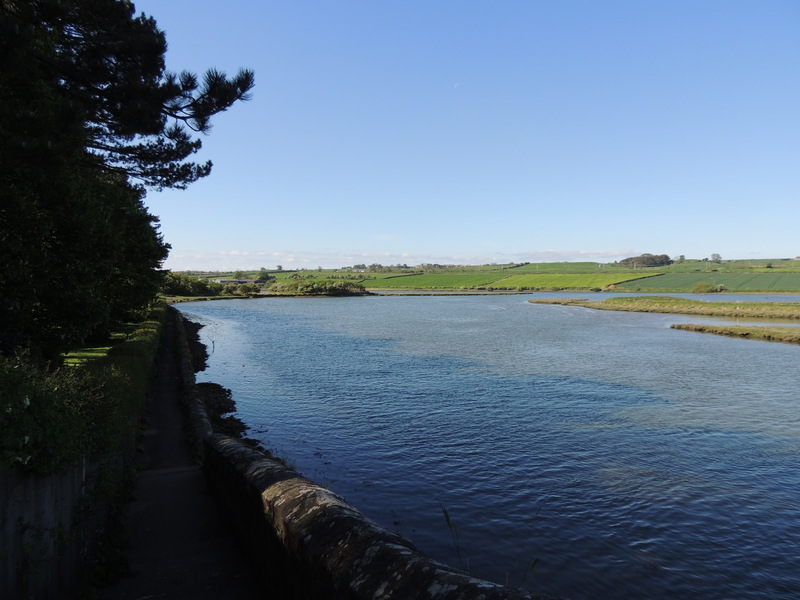 It is reputed to be the site of the Synod of Twyford at which St Cuthbert was appointed Bishop of nearby Lindisfarne in A.D. 684. 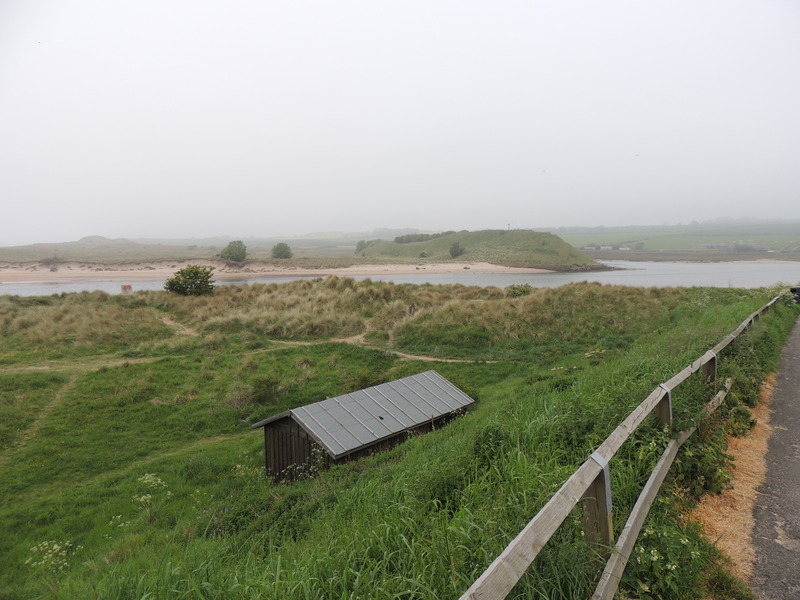 It is recorded as a Norman burgh in 1150 and in 1208 Eustace de Vescy was granted permission to build a port on the pennisular. Its major cargo was grain and other agricultural products. 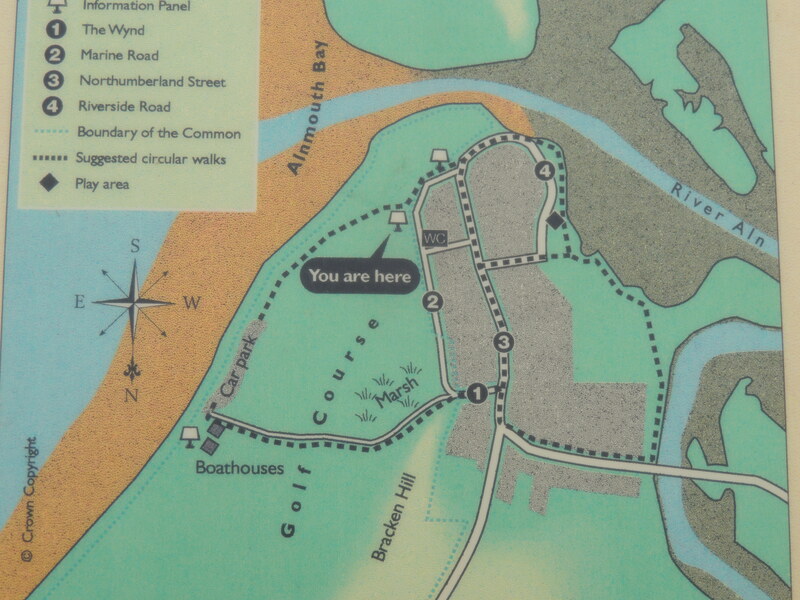 It was to be a successful port for many centuries, although it seems that this also attracted a downside. In 1748, John Wesley the famous Methodist preacher described our month as ‘a small seaport town famous for all kinds of wickedness’. It also seems to been a haven for smugglers as are records of it having its own revenue officer appointed to control this. 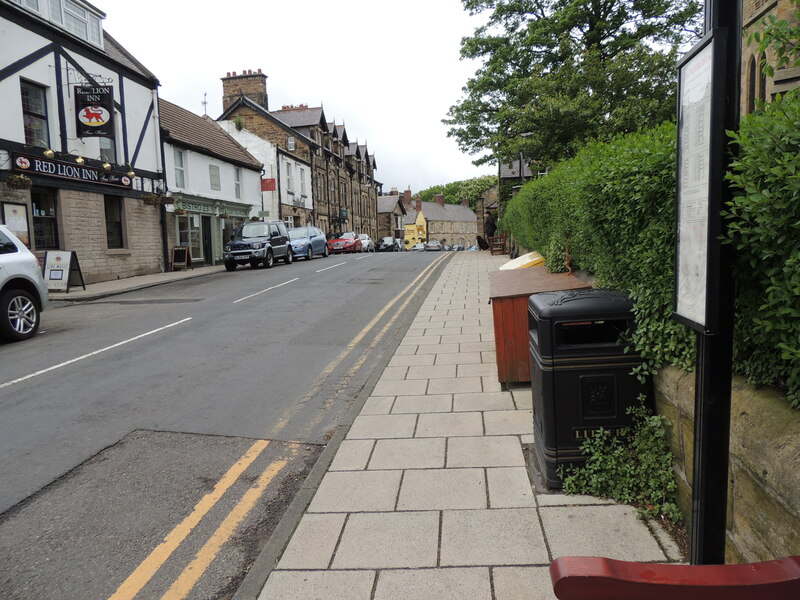 Today Alnmouth is a pretty village built around a single street on the peninsula of land bordered on one side by the North Sea and on the other by the river Aln.